Discover Fish, Plants and Invertebrates Atlas illustrated with more than 670 professional photos. Complete aquarium manager : watervalues, tasks scheduler and electrical equipments. 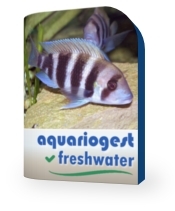 Purchase, birth, decease, sale, breedings and cares for each fish of your aquarium. Follow the growth of your aquatic plants and manage the invertebrates population. Log your water tests, significant indicators, graphs and alerts. Control all your expenses and follow the electric consumption of your equipment. Plan all your maintenance tasks to never forget them. Note all events of your aquarium.